It’s that time of year. Lovely African heat, long days and festive cheer. The little dark cloud blotting the sunshine is the sound of mozzies when we turn out the lights. When the children were babies I bought Mike Mozzie from Baby City to protect them. This comes (or came) in 2 forms, a spray or a stick. I found the stick to be totally ineffective but the spray worked well. Then a year or 2 ago I could not find the spray. I googled and tried the contact details on the old bottle to no avail, I could not find out where to get it. The problem is that if you put on your specs and read the small print on ‘adult’ mozzie repellents there are a few warnings and a caution not to use them on children under 2. My own babyhood is way back in the mists of time but I don’t fancy using something every night which comes with warnings, I prefer to use a natural product to a poison. In Oct we went on a trip to the Kruger Park, I was having a big stress about the risk of malaria and shared my worries with Abbey from Top Tots. She told me about a range of natural, child friendly mosquito repellents which are sold at Dischem. I went to Dischem and found that Reitzer have a range of mosquito repellent products, soaps, creams, sprays and a wrist band under the brand name Camping and Outdoor. I bought the spray and the cream. I did not write about these at the time as we did not see or hear a mozzie during our Kruger trip. In fact there have been very few mozzies around until now. I use the spray or the cream on the children and myself at night and they really work. The conventional adult products made by other companies which contain DEET all seem to sometimes wear off in the early hours of morning, the same applies to these. If mozzies wake me just before dawn I squirt a bit more on and am protected again, I also get up and spray the children if this happens. When I bought the Camping and Outdoor natural mosquito repellents at Dischem, I also bought a bar of the Dischem branded mosquito repellent soap to try. We used it at Kruger just in case but I have not used it since, mainly because I forget to take it out of the cupboard. I can’t really say yet if it works or not. 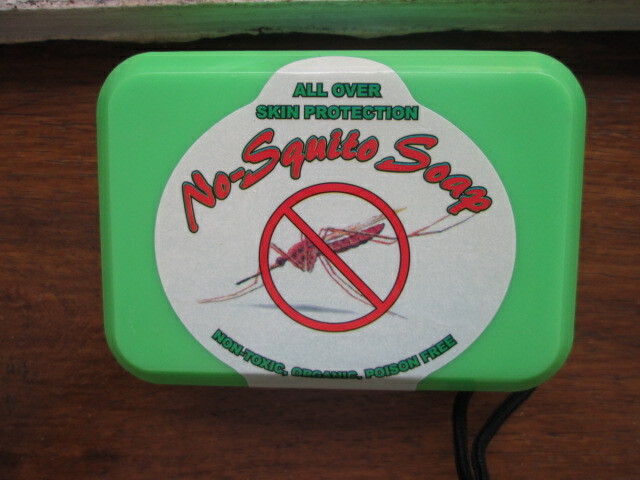 My only comment is that I find the No-squito products really stinky. Maybe one night I should use the soap and no other product to see if the soap is effective. We also use that top one. However I found a little sound repellent thingy at outdoor warehouse years ago that you plug into an electrical plug. That one works so well. We have always used the camping and outdoor soaps and lotion. We used to camp/caravan all the time and used it where ever we went, but we went to Mozambique two years ago and were bitten with the soaps and lotions and peaceful sleep and tabbard. The mosquitos would bite through the mosquito net. Fortunately we did not get Malaria and took anti-malaria medication. The mosquitos were horrendous there, yet we have camped in Mozambique and had not one bite in 3 weeks. It was hectic and so stressful worrying about getting malaria. Also the heat made it worse as there was not a breeze. It smells nice and it has citronela in it. I tried that one that you plug in that’s meant to give off waves but seriously it doesn’t work for us. Thanks for posting this. 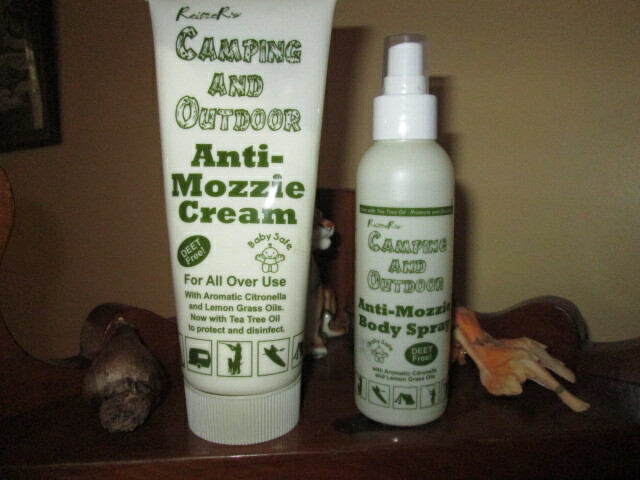 Angie has been feasted on by mozzies the last few days so I’m going to give these a try.